Quickly cleanse and refresh your locks with the residue-free Sun Bum Beach Formula dry shampoo. It works fast to soak up oil, sweat and odors while making your hair feel entirely rejuvenated. 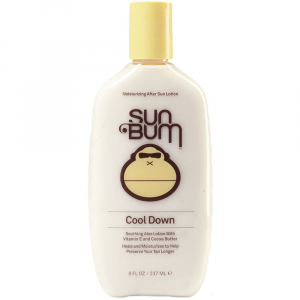 Sun Bum Cool Down Hydrating After Sun Lotion - 3 fl. Oz. Hydrate and revitalize your skin after a long day in the sun. The Sun Bum Cool Down Hydrating After Sun lotion soothes with aloe, cocoa butter and vitamin E to gently restore natural moisture balance. Sun Bum Cool Down Original Aloe Vera Spray - 6 fl. oz. After a long day in the sun, your skin needs revitalization and hydration. The Sun Bum Cool Down Original aloe vera spray contains aloe, cucumber extract and Vitamin E to restore moisture balance.